It's only $400 for the tablet and keyboard, so we're firmly in budget territory here. Being a budget Android tablet is tough these days. It's a tablet-laptop hybrid, so the 101 XS will be going toe-to-toe with Asus' venerable Transformer line, the closest competitor being the (freshly Jelly-Beaned) TF300. If you also spring for the optional keyboard attachment, the Asus will run you about a hundred bucks more. 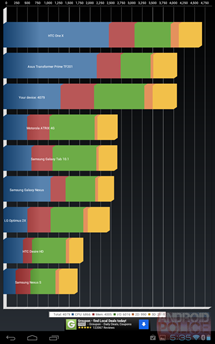 Below it on the price spectrum is the Nexus 7, which is even more stiff competition. Archos has its work cut out for it. Stock Android. No skins, no bad software decisions, just pure Android. It's great to see a manufacturer that actually gets it. Micro USB charging. Everyone else locks you into a proprietary cable, but I'm charging this with my phone charger right now. Charging is faster with the bundled charger, but if you accidentally forget it, you won't be stuck without a way to juice up. A front-facing speaker. There's only one, but it faces your ears. This is another common sense thing that not many manufacturers get right. Sounds are loud and clear. Good performance. The tablet runs smoothly, so long as the touchscreen isn't freaking out, and it can power though more complex apps like Google Earth with ease. The plastic touchscreen. The particular type of plastic they used for the screen is grippy - much grippier than Gorilla Glass. The added friction makes using the touchscreen feel like a chore. It's also buggy, too much force will cause it to stop detecting touch all together or produce phantom touch input on the opposite side of the screen. When the part you interact with isn't any good, it kind of ruins the whole tablet. The screen is grainy and it's pretty easy to distinguish pixels. The keyboard is totally flat. Typing on it kind of hurts. People that want a keyboard will be heavy typers, but typing on this is probably bad for your wrists. In laptop mode, the screen is supported with a kickstand - there's no hinge. This means you're stuck with 1 screen angle. Most of the time I find myself wanting a shallower angle. So here it is, all connected together in laptop mode. The tablet and keyboard both come in the box for your $400, so I guess that makes this a mid-range tablet. Things are certainly different than the usual Asus Transformer design. For starters, there's no hinge. The top and bottom are held together with a kickstand and some magnets. I'm serious. 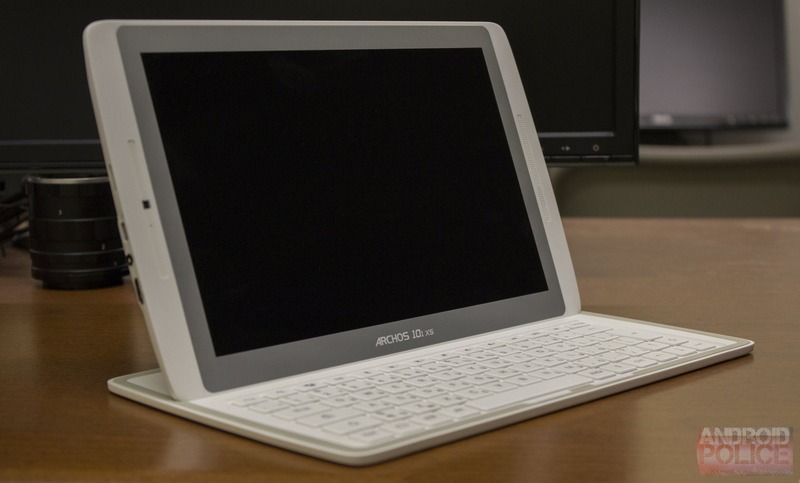 The kickstand is actually attached to the keyboard dock and folds up. 2 magnets in the kickstand hold it to the back of the tablet, and prop it upright, while matching magnets on the bottom of the tablet and the dock hold everything together. It's sturdy enough to get the job done, and you can even pick the whole thing up by the screen. 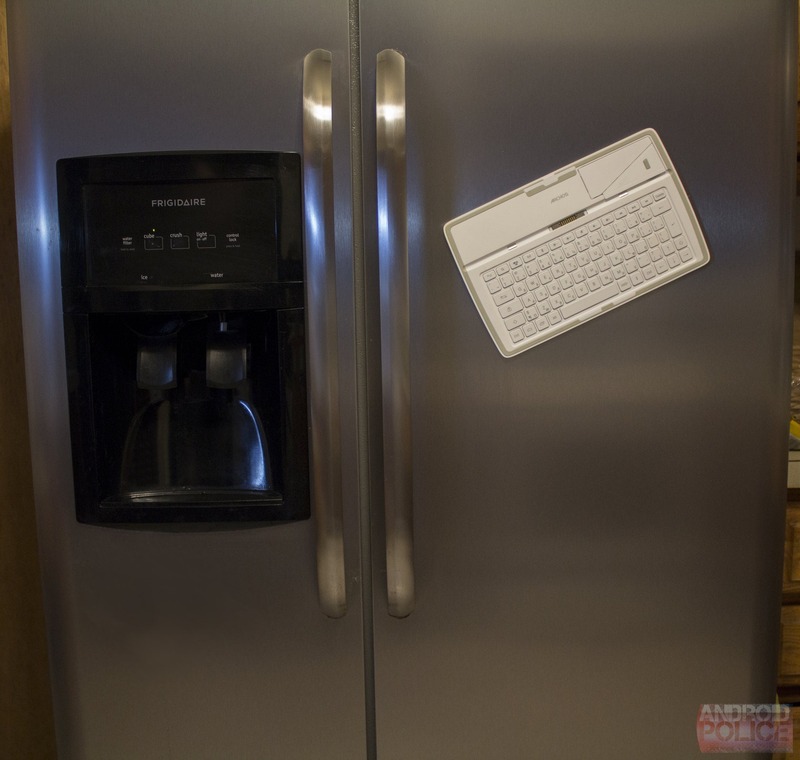 When not in use, the kickstand folds flush with the rest of the keyboard bottom, and the same magnets that were gluing it to the tablet are now securely holding it in place. The disadvantage of this versus an Asus-style hinge design is that you can't pick your screen angle - you're stuck with whatever angle Archos chose for the kickstand, and that's it. I'd prefer something a little shallower. At the bottom of this stack is the tablet, and the top is the flipped-over keyboard. The magnets hold everything together pretty firmly, maybe a little too firmly, as separating the pieces when they are lined-up requires a little strategy. Remember: Magnets. You're going to want to slide them apart, not pull. OCD-types (me) are going to be in for a little more work. The keyboard will just kind of stick anywhere to the tablet - there's nothing that makes them line up properly. So you're going to want to tap the pieces on a table or something to get them to line up just right. The keyboard will only stick to the front of the tablet, if you're getting ideas about sticking it to the back when you're in tablet mode, stop. The back has a plastic rim that the magnets won't stick to. It's about time we examined the tablet part of this tablet. The top is completely devoid of any buttons or ports, while the bottom has the aforementioned pair of magnets and the dock connector. Along the left side there's a MicroSD slot, a Micro USB charging port, a headphone jack, and a Mini HDMI port. It's really awesome they managed to get the 101 XS to charge over Micro USB. The bundled charger is 5v, 2A, so it's more peppy than your normal, 1 amp phone charger, but if you find yourself sans-charger and in need of juice, any old phone plug will work. It is also cool to have a direct line to the HDMI out, as opposed to having to pack a crazy MHL dongle. More manufacturers need to start designing like this. Dongles and proprietary cables are bad. They did, however, put all these ports in the worst possible location. The left side toward the bottom? That's where my hand is supposed to go! It's not just this side, either. Holding the tablet naturally covers just about every important item on the tablet. On the right side there's a volume rocker, power button, and a power LED. How quaint. It will actually tell you a bit about what is happening when the screen is off. It will stay lit during a light sleep and turn off completely after about 2 minutes, when the tablet is in a deeper sleep. The oddities continue to the right of the power button, where there are instructions reading "(RESET 10 SEC)." 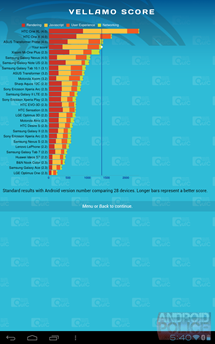 It will probably save you some Googling if your tablet totally freezes, but it's not exactly confidence-inspiring. There's more bad placement of things in the front of the tablet. On the left side, right about where your thumb would rest, is the camera and light sensor, and on the right side is the single, front-facing speaker. The camera is basically useless in landscape mode, people will be chatting with your left shoulder. Just how bad is the placement of everything? Very bad. Everything is pretty much is the worst possible location it could be in. Here's a handy chart of just what to expect when you're actually holding it. Everything is covered with human parts. Some of these, like the power and volume buttons, aren't a big deal, but just about everything on the left side is an issue. It's not crazy to charge a device while using it, and I would think using headphones while holding the thing would be a pretty normal use case. Perhaps placing everything on the side is a concession to making the laptop mode less awkward. When docked, the usual top-mounted headphone jack would be pretty strange, I get it, but why not put everything on the sides, but up a little higher? Right now, holding it upside-down is a significant improvement. At least then, the mini HDMI port, headphone jack, and charger will clear the top of your right hand, and the volume rocker and power button can easily be hit with your left index finger. So really, if you're a glass half-full person, they didn't screw up the placement of every single I/O component, they just put the logo on upside-down. Auto-rotate handles being upside-down just fine, too. If I owned this, that's probably how I would use it. I really just don't understand the camera position. It's centered above the screen on laptops, and it's centered above the screen on tablets. That makes perfect sense - you want it pointing at your face. Archos decided to put it on the left side, under my thumb. If my thumb isn't in the way, it's pointed at my left shoulder. The only way to salvage it is to do all your video chatting in portrait mode, which is just strange on a 10 inch tablet. 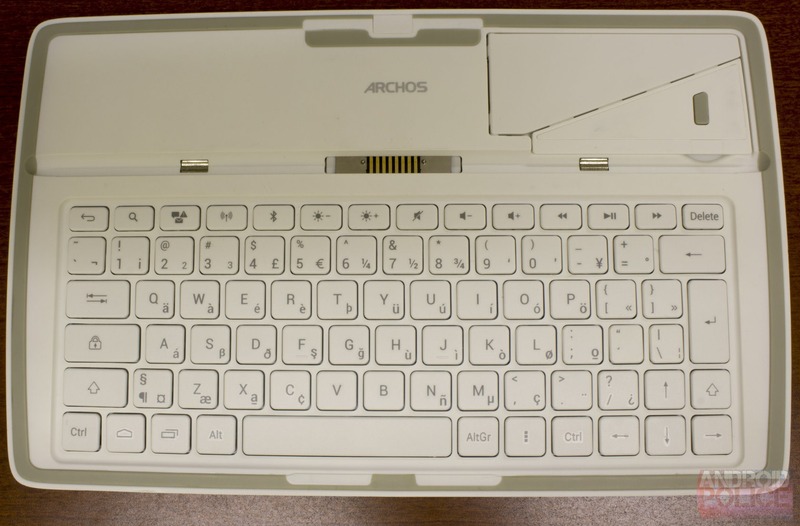 So here's the keyboard, which Archos is actually calling the "Magnetic Coverboard." I don't really have an affinity for marketing speak so I'll just keep calling it "the keyboard." Here you can see the kickstand in the top right folds totally flat, and it even has a little rubber pad to add a little cushioning when it snaps onto the back of the tablet. The keyboard keys are absolutely packed with symbols. The top row has some really handy function keys. Back is intelligently placed where an escape key would normally be, and the one between search and Wi-Fi will open the notification panel. The rest of them you should know. I'm happy to report that the media buttons work with Google Music. The Alt key will allow you to type all the crazy characters in the bottom right corner of each key. I asked, and Archos said this is the layout they're going with for America. It's certainly... different. The bottom row has even more specialty keys, after Ctrl we've got the Home and Multitask keys, and to the right of the spacebar after "AtlGr" is a menu button. The menu button works great. 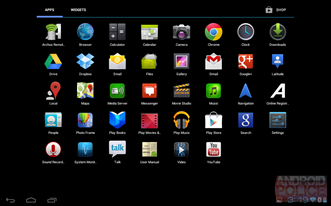 In legacy apps it opens the menu, and in modern ICS and above apps, it opens the action bar overflow menu. As an added bonus, it opens the app drawer on the home screen. My biggest complaint about the keyboard is that it is perfectly flat. Most keyboards have a slight downward slant to them that makes all the difference when it comes to comfort. Laptop keyboards are always angled, and even the Transformers have a little slant to them. It would have been nice to have little collapsible feet, or really any built-in way to use the keyboard at an angle. This is just uncomfortable to use. You can't just throw a keyboard layout on a flat surface and call it a day, there are all sorts of subtle ergonomics that go into a good keyboard, and this doesn't have any of them. Using this hurts. Even if you rig up something to get the keyboard at the proper angle, the screen has one tilt angle because of the kickstand, so you're kind of screwed. If you do commit to using this keyboard, it's definitely going to take some getting used to if you aren't familiar with something this size. 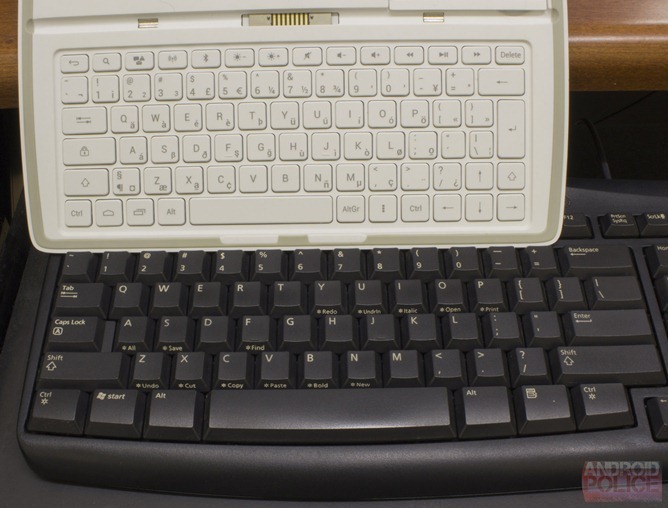 If you've used a netbook keyboard, you've got a good idea of what to expect. The key action is similar to a laptop's, and there don't seem to be any egregious layout changes. The right shift key did get shrunk down, though. The keyboard is really a weird addition. Anyone who wants a keyboard is going to be someone who types a lot, but someone who types a lot is going to want a keyboard with good ergonomics. The flatness of this kills my wrists, and I never considered my wrists to be overly-sensitive to that kind of thing. We've got a stainless steel body, a plastic screen, and it's all held together with magnets. How's that for materials bizzaro world? 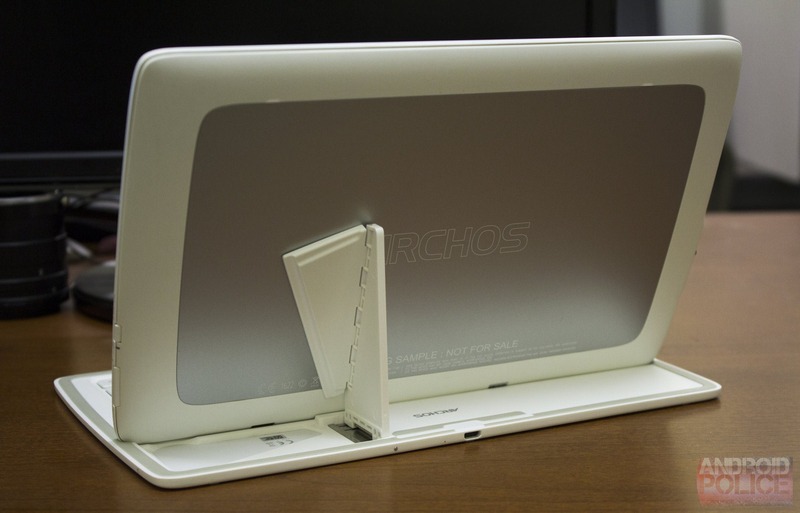 Archos certainly gets points for thinking outside the box on this one. You might hear "stainless steel" and think "heavy," but, somehow, the 101 XS clocks in at 600g - the same as the all-plastic Samsung Galaxy Note 10.1, and a little lighter than an iPad. Archos says this is due to the "paper-thin" 0.1mm steel. Everything is color coded for easy materials identification, anything that is silver is steel (I checked with a magnet), and anything that is white is plastic. 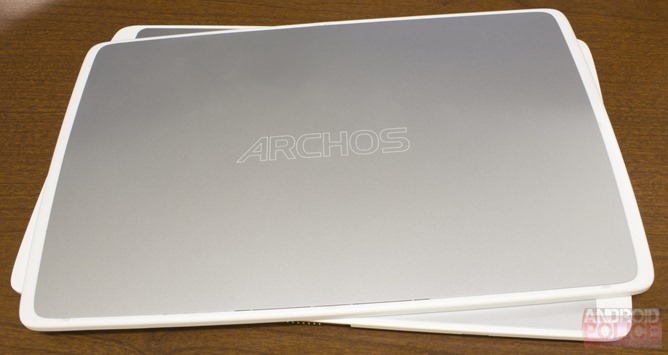 The "paper-thin" phrasing in Archo's PR is a little worrying, but the tablet is actually pretty solid. Everything fits together well, nothing squeaks or creaks, and the plastic doesn't make my skin crawl. The volume rocker does wiggle around a bit, though. In laptop mode, the screen will move a little when you poke it. It's not going to fall over or anything, but it's not rock-solid. Durability is a huge concern. This is the back of the keyboard/cover, which, keep in mind, is supposed to be slid around on a desk - seeing how it's the bottom of the keyboard - and it can't even stand up to the gentle treatment I give to review units. 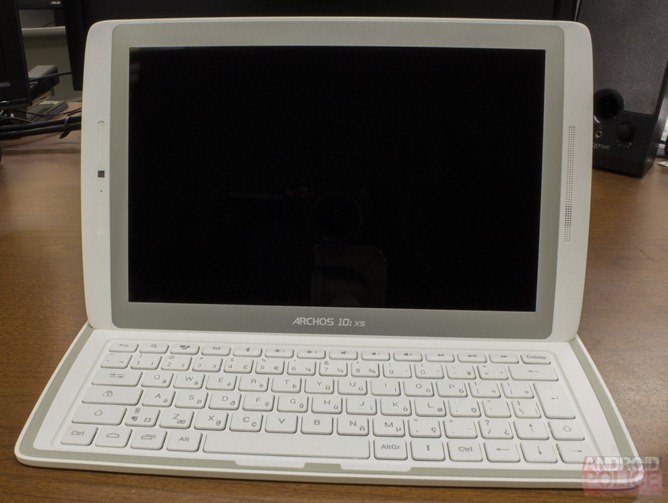 When I initially picked up my loaner from Archos, I was given a quick demo, and their demo unit was beat up, too. So it's not just me. The screen has some serious build quality issues, but I'll address that in the next section. Archos has seen fit to equip this thing with a 1280x800 screen and a plastic touchscreen. A tablet is basically all screen, so if they skimped out on it, that's an instant deal-breaker. The touchscreen is plastic, and while that normally wouldn't be a huge deal, the problem is that this particular type of plastic is grippy. You can't swipe your finger across the screen as easily as you can on Gorilla Glass. Your finger grips it, gets stuck, and wants to skip across the screen, like a bad windshield wiper. The extra friction between your finger and the screen makes it unpleasant to use. If you're a big Android gamer, the finicky, sticky touchscreen will drive you crazy. Something like Angry Bird is significantly harder on a screen like this. Swiping, scrolling, and generally just using it feels worse than a normal, glass touchscreen. The interesting (and gross) thing is that the dirtier the screen gets, the better it feels. Finger grease acts as a lubricant and really helps things glide along. If you're like me and incessantly clean your devices, you're going to be unhappy with the touch screen most of the time. I'm going to go wash my hands now. This is the most easily replicated touchscreen flaw, but in general, it just seems possessed. Sometimes torque will trigger a touch input. The same goes for setting it down on something the wrong way, or applying pressure to the back. You'll just occasionally get touch input that wasn't from you. I don't think mine is defective, this is just what you get when you go with a plastic touchscreen. Plastic isn't as rigid as glass, so any force the tablet encounters could get applied to the touchscreen, which could make the touchscreen touch the internal components and start triggering touch events. Capacitive touch screens require contact with something conductive to work, yet I can trigger glitchy touch events with a 100% plastic sharpie. So it must be contacting the internal components. I know the specs say 1280x800, but the difference between this and a normal 1280x800 screen is astounding. Everything looks pretty grainy, and it's fairly easy to make out pixels. I guess the dot pitch is really high. Gradients have sharp banding, even in places where I thought things were a solid color, like the white background of Gmail. 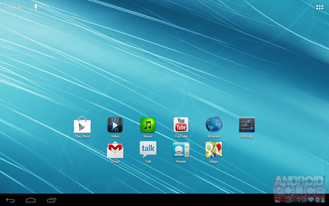 I have a Xoom, Galaxy Note 10.1, and 101 XS on my desk right now, and the Archos' screen can't hold a candle to the other two. If you've got good eyes, this isn't the screen for you. Like I said, this is the main part of a tablet, and cheaping out on it is just a terrible idea. Using this tablet is like playing a video game with bad controls. Nothing else matters when you screw up the basics. Swiping on this feels like a chore, so using it feels like a chore. The screen is ugly and pixelated, which makes you not want to look at it. Even on a budget tablet, you've got to get the screen right. Here's a performance issue I've never run into before: This thing takes forever to wake up. 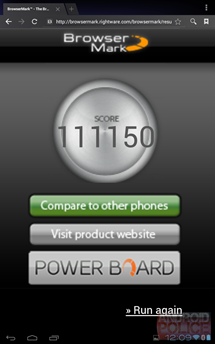 After tapping the power button, the screen takes several seconds to turn on. Sometimes the delay is so significant, I hit the button again, thinking I missed it the first time - which, of course, causes the screen to turn off (insert rageface here). It's frustrating when you want to just use the thing. Here's a wake up time comparison between the Archos and a Galaxy Nexus. As you can see - particularly the in last one - sometimes the 101 XS takes almost 3 seconds to turn on. Also, check out the second time I turn it off, around 14 seconds. The screen turns off, then flashes on and back off all by itself. It does that sometimes. 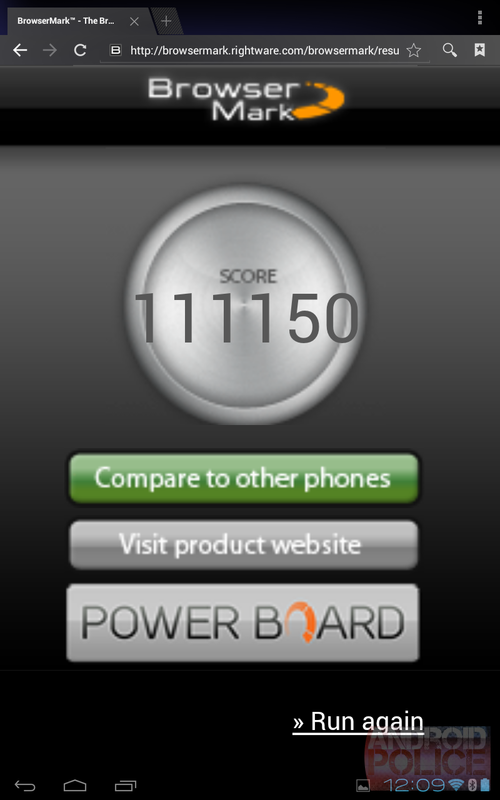 Other than that, performance is decent. I find it really hard to separate the processor stuff from the feel of the touchscreen, it really seems to slow things down. Scrolling feels choppy, but really isn't, it's just the input surface, if that makes any sense. It has enough grunt to run Google Earth at a respectable speed, and that's easily the most processor intensive app out there, especially when you check out the new 3D areas, like San Francisco. While I'm not saying that any of these are a big deal, you do deserve to know that a few components that are normally in a tablet (or should normally be in a tablet) aren't here. There's no rear camera, which I might actually agree with. There's also no NFC, which I definitely don't agree with, and there's no light sensor, which means there's no auto-brightness. 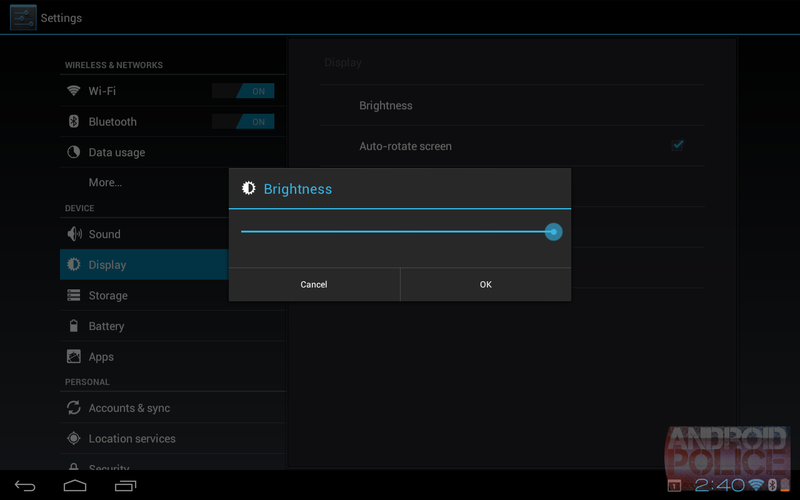 Thankfully, ICS has a brightness slider in the notification panel, so this is less annoying than it would normally be. Auto-brightness is usually terrible anyway. BONE STOCK ANDROID. I'm not kidding. Good job, Archos. Somebody finally gets it. The 101 XS is rocking a completely unmodified build of Ice Cream Sandwich, and it is beautiful. This means I have very little to write about in the software section, and that's a good thing. Now all we need is a Jelly Bean update, which is supposed to be out by the end of the year. 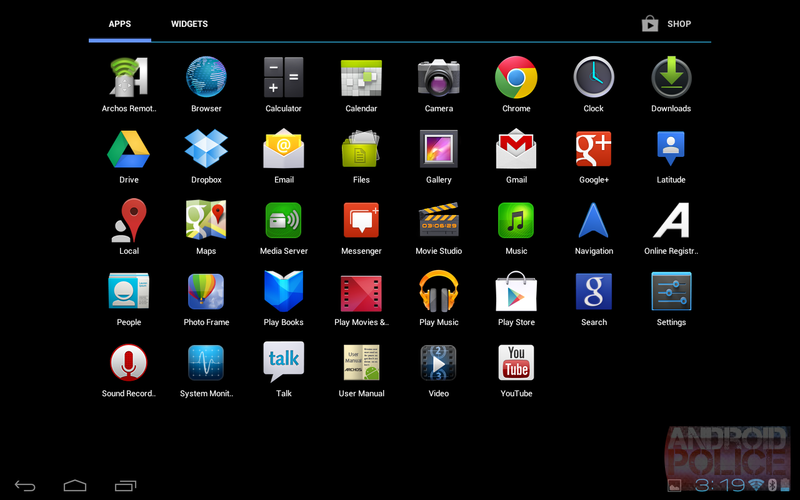 In case you've somehow forgotten what stock Android looks like, here are a few screenshots. Yes, there is some crapware, but, thanks to ICS, it can all be disabled. Well, ok, there is one thing they changed - added, actually. This is it. 1 additional settings screen with some pretty scary options. The usefulness of these are pretty questionable, especially since many of them are duplicates of things that are already in settings. "Touch screen calibration" immediately makes me question the robustness of the touch screen controller, because most tablets calibrate at power-on and don't need this option. This is going to be another one of those battery life sections with 1 picture and not much else, because the battery just lasts forever. Granted, this is with light usage, but the 101 XS lasted a good 2 days before dying. 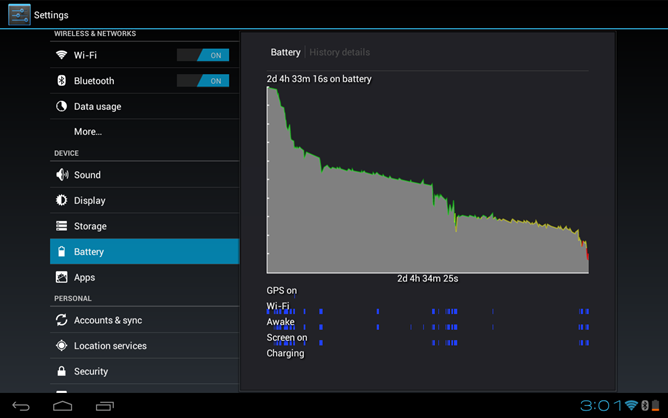 Tablet batteries rule. However, It does seem to turn off too early. Twice I've had it shut down on me at 15 and 7 percent. The 101 XS is just full of quirks. The touchscreen flakes out and starts touching itself if you press too hard, it takes forever to wake up, and the ports are in the wrong spots. The keyboard is flat, and you can't angle the screen to your liking. The screen is grainy-looking, and covered in grippy plastic. 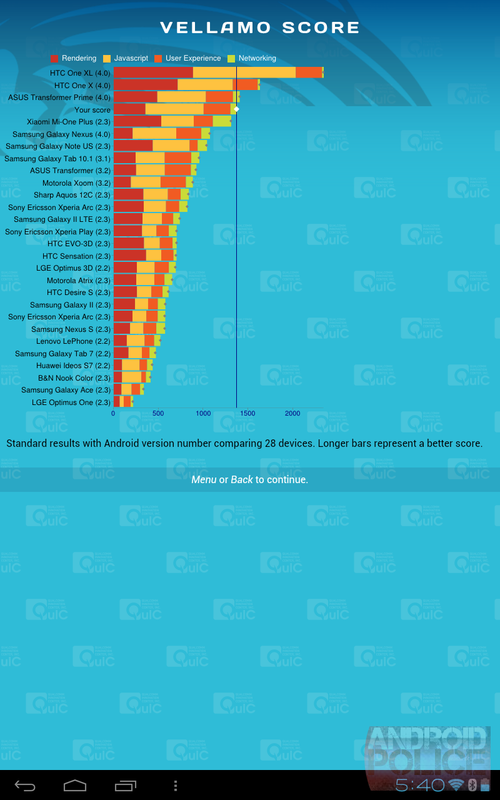 It looks and feels worse than just about every other tablet display out there. It is only $400 for a tablet and keyboard, though. You also don't have to put up with a half-baked skin. But you've got other options. You could pay $100 more for a TF300 with the keyboard attachment. The Transformer has a glass touch screen, a better IPS LCD panel, a larger battery, a more ergonomic keyboard, and Jelly Bean. For me, it's worth the extra cash just for a more useable keyboard and touchscreen. If that's too expensive for you, maybe it's time to look at a Nexus 7 and Bluetooth keyboard. That's really the problem I have with this device, line up good Android tablets by price, and this is stuck between the N7 and TF300. I'd rather have either one of those over the 101 XS. It's also hard to justify a purchase of this with "I need a keyboard" when the the keyboard isn't any good. When you're shopping on a budget, there's a sweet spot for price vs. performance, and this isn't it.